Six international companies shortlisted for Nagdhunga-Dhulikhel metro rail's DPR - Integration Through Media ....! KATHMANDU: The government has shortlisted six companies to prepare the detailed project report (DPR) of Nagdhunga (Kathmandu)-Dhulikhel (Sindhupalchowk) metro rail project. According to Board Spokesperson Uttam Bhakta Wagle, consultant companies (from China, India, Korea, Turkey and Japan) have been selected for the feasibility of project. China Machinery Engineering Corporation, China Railway Siyuan and Survey and Design Group Co. Ltd, Nippon Koei Company Limited, Japan; Rites India Limited and one company each from Seoul (South Korea) and Turkey have been chosen for the project works. The advance metro railway network has been in operation in many metropolitan cities across the world. The Board has initiated the process to construct such railway system for the first time in the country. Our neighbouring countries –India and China-have long been operating metro railway network for the convenience and fast commute for the urban population. Pakistan too is expediting the construction of metro railway network. According to Spokesperson Wagle, the consultants have been asked to submit tender within 30 days for the preparation of DPR for the operation and management of the metro railway system to be operated from Dhulikhel and Nagdhunga. 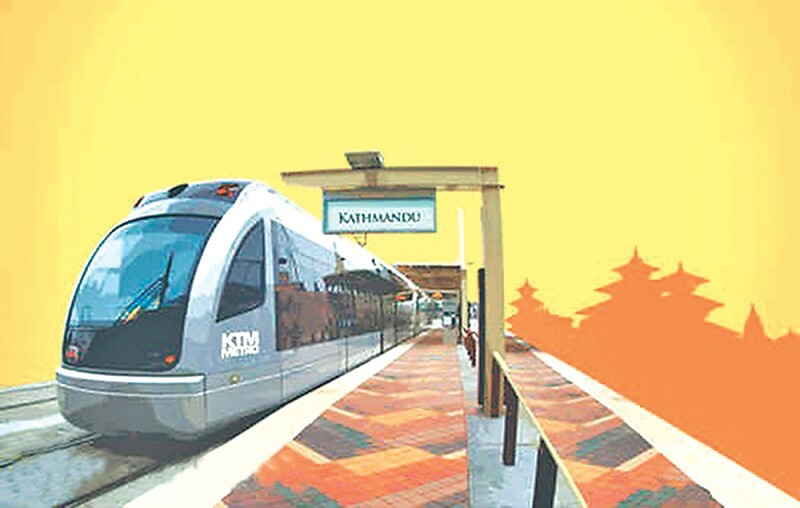 Process have been initiated to construct by the Kathmandu Metropolitan City and other local agencies for the construction of the mono railway network in the Ring Road of Kathmandu.